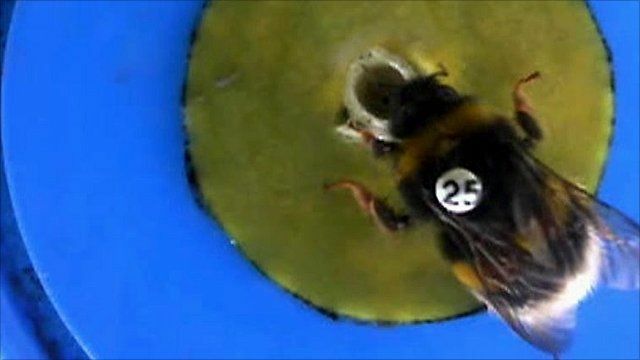 Bumblebees are being studied to find out how they organise their nectar-collecting journeys. Researchers from the Royal Holloway University of London are monitoring a colony of trained bees inside a flight cage in Surrey. They're hoping to find out more about how the bees forage and optimise their flight paths. Dr Nigel Raine explains how the experiment works.